Well I’m back where I belong, back in rainy Perth. It might be rainy but the clouds breakup every now and then and let the sun shine through. Those poor people in the Motherland might not see it for weeks. I was fortunate I only had a week of it and I needed that or I might have got to like the place. 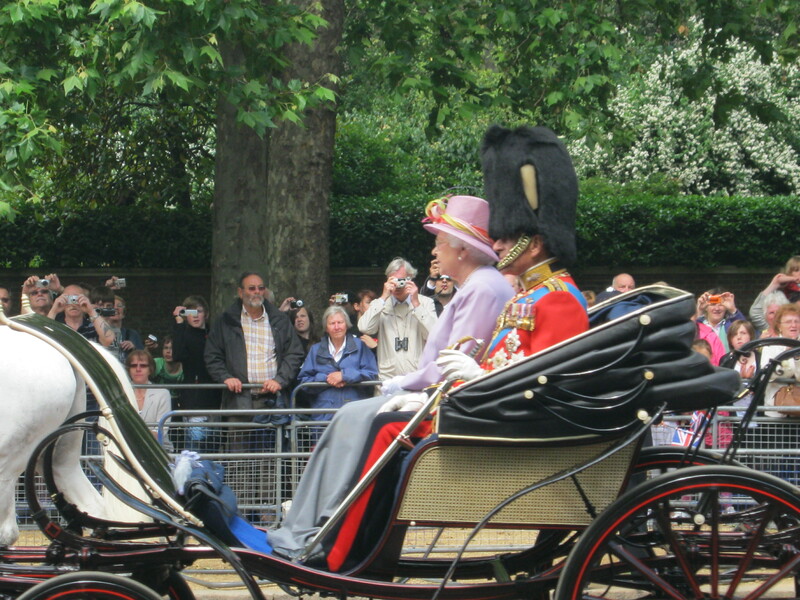 The Queen heard that I was coming to town so she put on a parade for me last Saturday. She got all the boys and girls out in the bright red uniforms and bearskins to march down the Mall. 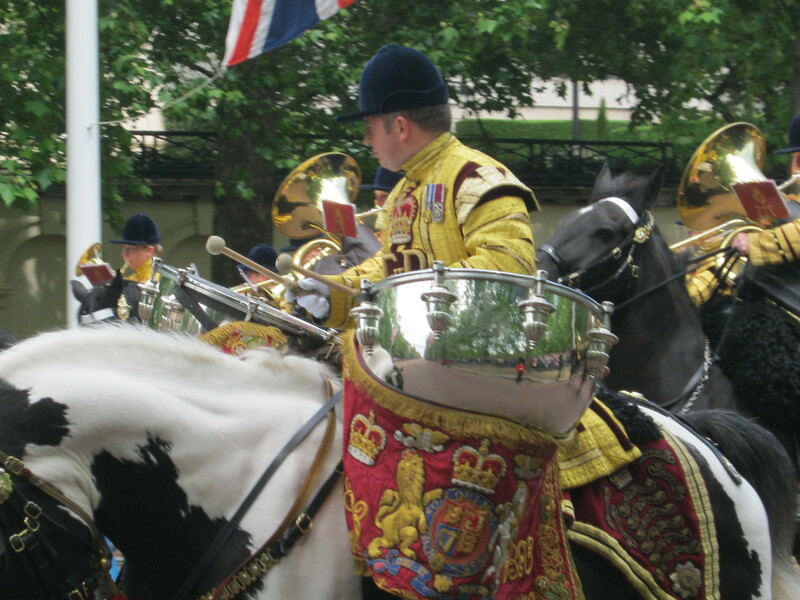 She also chucked in a band mounted on hay burners for a bit of effect and braved the weather in an open carriage. Look Mum I can play the drum and ride a horse. As she went along she wouldn’t look my way because she didn’t want to let the other subjects think she was showing favoritism to me. You don’t have to wave I’ll be up for tea later. It was a great time going here and there meeting Brenda’s family and friends with a bonus of seeing some wonderful sights. I hope I get a chance to go back again, there is so much to see and do but for me I need to share the experience with someone. I have a few photos to go through and I hope I can put them up over the next few weeks to give you all a taste of what I saw.